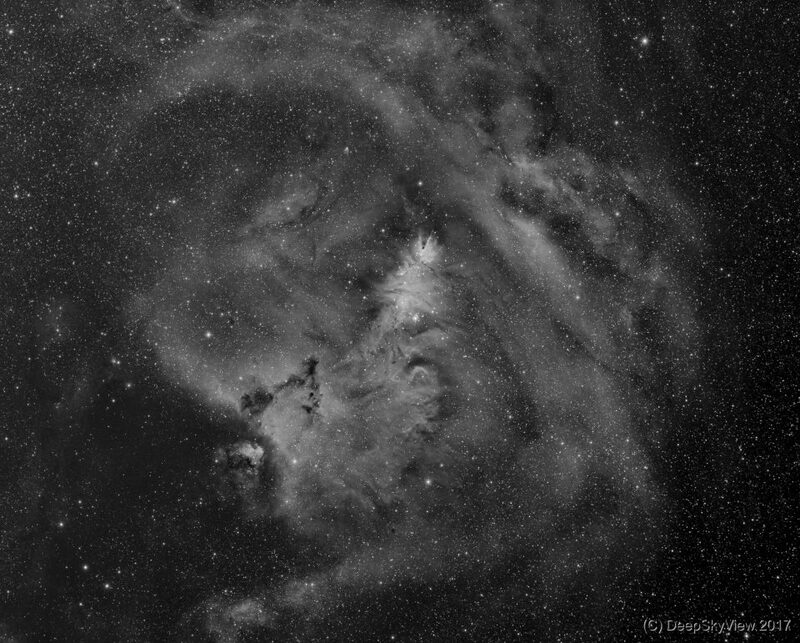 This is a very wide field monochrome image of the region around the Cone Nebula and the Christmas Tree Cluster. They are sitting in the middle of a much larger emission nebula with lots of structures. Composed of more than 6 hours of Ha data taken from my backyard in the light-polluted Frankfurt area – Bortle class 7 (red zone). This is the first serious attempt with my new Samyang 135mm f/2.0 lens, stopped down to f/2.8 to improve the star shapes in the corners. Compared to my attempts with other 135 mm lenses the Samyang is almost perfect.